Is it your birthday? These five restaurant chains are eager to treat you to a free meal on your special day. Each birthday when I was growing up, my parents would stock the dinner table with treats and toys, which – as a kid – I thought descended from the heavens above. At the time, I thought I was the Chosen One, but these days, the most I can expect on my birthday is a direct message on Instagram. If you’re in the same boat, don’t worry. There’s one small catch: you usually have to join a membership program. But apart from annoying emails, they’re not that bad, especially if you visit the establishment often. Having a rewards account can allow you to accumulate points for a freebie later. So I made a list of (in my opinion) the most useful places to get awesome birthday deals from. Moe’s is known as “that other Chipotle place.” They have great burritos, and can be a free and convenient meal on your birthday. They offer free burritos for the birthday boy/girl/person, though you have to sign up for Moe’s eWorld (thankfully it’s free). I’ve never been here, but I’ve heard that it has burgers, so it must be good. To get your free burger on your special day, just join their eClub. The place we all gravitate to in the wee hours of the morning. You get a free Grand Slam breakfast, which – if you’ve never had it before after a long night – is revolutionary. Bacon, eggs, pancakes, and no questions asked. Cracker Barrel is an American diner that has all the heart-attack-inducing calories that you need to feel special. You get free dessert if you tell your server that it’s your birthday. Fair warning: you might have to endure a birthday song to go with that slice of cake. Enjoy these freebies when you go out for your birthday. And even if your birthday has already passed, there are so many other ways to get freebies and be frugal every day of the year. The savings don’t stop! 5 Lessons I Learned from Starting a Nonprofit… in High School! Stuck in a Small Town? Give Entrepreneurship a Go! 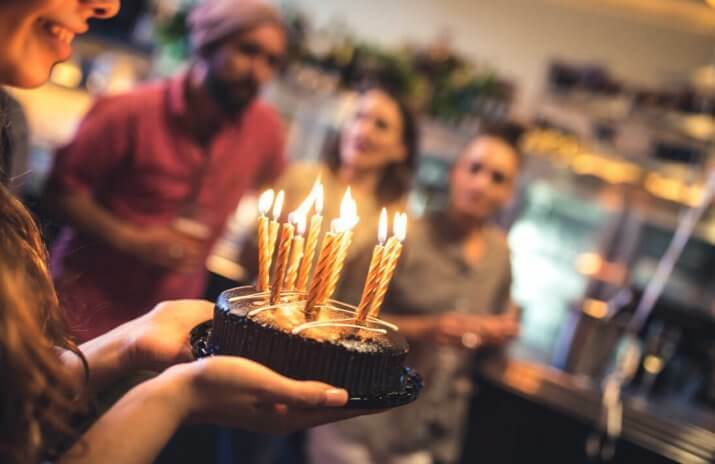 5 Restaurants That’ll Give You Sweet Birthday Deals?